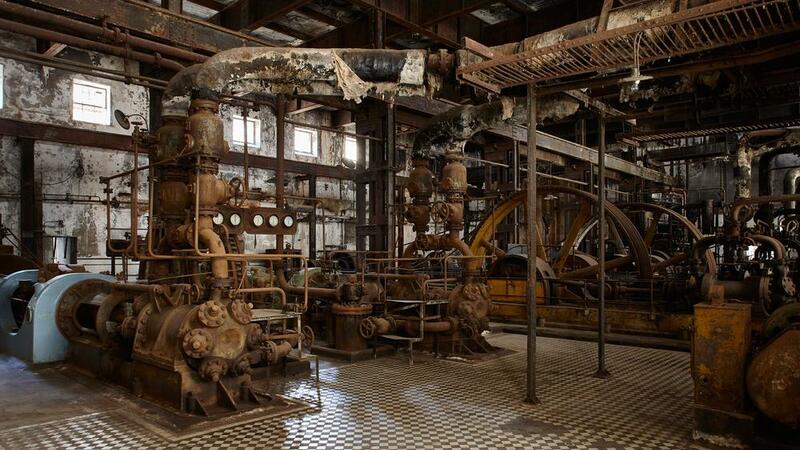 Ship that was going to Turkey was retained by the Justice in the port of Santos after experts claimed ill-treatment. The government reversed the decision and says that veto would harm the country's image. Last Saturday night, February 3, the air of Santos, one of the main cities on the coast of São Paulo, exhumed manure. It was the odour of the excrement of 25,100 oxen confined to the Nada, Panamanian flag, which had been standing in the port of the city for eight days. They would be exported to Turkey, but a court order banned the departure of the vessel, where an investigation found that the animals were ill-treated. The ship left on Sunday night, after intervention by the Government Michel Temer and the ruralist group, represented in the Ministry of Agriculture by the Minister, Blairo Maggi. But the case has become a symbol for activists, promising more protests and intending to lead the National Congress to try to ban the type of transportation in the country - a bill was filed in the House on Monday by Congressman Ricardo Tripoli (PSDB -SP). The animals, up to one-year-old, belonged to Minerva Foods, a company based in Barretos (in the interior of São Paulo), which presents itself on its website as "one of the largest exporters of live cattle in the world." They began shipping on January 26 in an operation that ended five days later. The cattle had already faced a journey of up to 14 hours in trucks, leaving a pre-shipment area located 500 kilometres away. During the journey, they could barely move and their faeces and urine were released on public roads, which gave the company two fines from the City of Santos, a total of 2.5 million (for maltreatment and contamination of the drainage network and by the strong odour of excrement that took over the city). 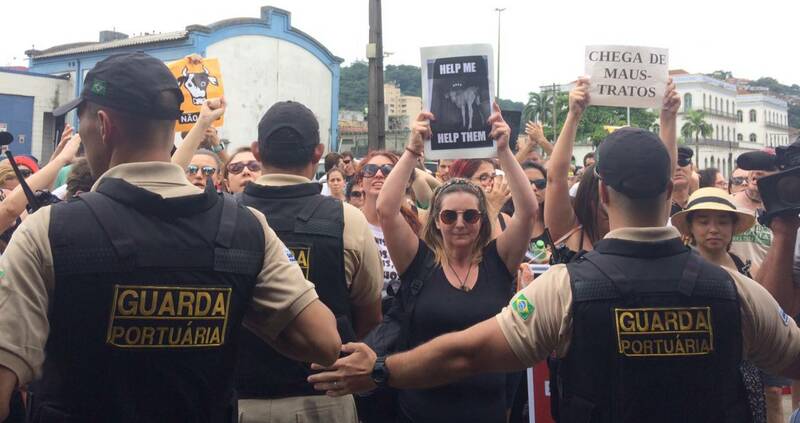 While the embarkation procedure was taking place, activists from the News Agency for Animal Rights (ANDA) and the National Forum for Animal Protection and Protection, an entity that brings together 136 Brazilian nongovernmental organizations, triggered federal justice. They called for the suspension of the shipment of live animals in all the Brazilian ports and the immediate landing of the cattle of Santos, to spare them of the strenuous journey of weeks by the Atlantic Ocean towards Turkey. On May 31, Judge Djalma Moreira Gomes banned, in a preliminary injunction (provisional), the departure of the ship NADA and other possible vessels with live cargo from Brazilian ports. He also ordered the inspection by a veterinarian, who on the next day's visit found that "there is an abundance of evidence of ill-treatment and an explicit violation of animal dignity," he said in his report published on the Internet by NGOs and whose extracts were used in sentence judicial. In her report, she states that the situation of the animals varied depending on where their stalls were on the ship, with 13 floors. On one of the floors above, the lighting, ventilation and stocking conditions were "apparently moderate" and the floor was covered by rice husks to prevent the animals from slipping during the movement of the vessel. But on lower floors, where the animals were first boarded, "hygiene conditions were very precarious." "The immense amount of urine and excrement produced in the period provided an impressive deposition on the floor of a layer of muddy sludge (...) Inside the bays, it is only possible for the animal to prostrate to the ground.This movement decreases space in the area and subjects the animal to close contact with its waste and the waste of other animals, "she said. According to the ship's staff, the veterinarian continued, washing the floors occurs every five days, but this system is only put into operation after the departure of the vessel since the disposal is done in the sea without treatment, which would not be possible on the coast. The veterinarian also reported the existence of grease, a sector with equipment to crush the animals that die on the way - the result of this also ends up in the sea, she said. In a statement, Minerva Foods stated that livestock management follows all appropriate procedures to preserve animal welfare during transportation, shipment and during the journey to the destination. And that this type of export is duly regulated by the Ministry of Agriculture. A report from the Agricultural Surveillance Service of the Port of Santos, used by the Federal Government in the action, testified that the conditions of handling and welfare of the animals on board were in compliance with the standards set forth in the country. Based on the impasse between the versions of the survey, the company's appeal to release the ship was eventually denied on Saturday afternoon (3). A bustle in Government TemerThe arrest of the vessel caused a stir in the Temer Government. On Sunday afternoon, federal deputy Beto Mansur (PRB-SP), deputy leader of the Government in the House, visited the port of Santos to visit the vessel, while Minister Blairo Maggi met with the president. The Government argued that the landing of the steers would present a serious risk of injury to the national livestock industry and that the ship was able to submit to the international transport of animals. He said that the vessel became a factor of "potential risk to the introduction of several pathogens" since the animals had already been fed with rations that do not exist in the country, being able to spread weed seeds through their manure. And the logistics for the landing would require at least 30 days, putting the health of the animals at risk. On Sunday night, Judge Diva Malerbi of the Federal Regional Court 3 agreed to the arguments and upheld a new appeal, this time from the Federal Attorney General's Office (AGU), stating that the risks of landing would be greater than the continuity of the trip. "I have been a lawyer for 15 years and I do not know how to access a federal judge at 9:00 pm on a Sunday," said Carlos Ademir Bedin Cipro of the Association Brazilian Association of Lawyers and Animal Lawyers (Abraa), involved in the process. "The allegations for release are very mistaken, without any technical background and used to convince a layperson, who was pressured by the Government to make the decision," said Vânia Plaza Nunes, technical director of the National Forum for Animal Protection and Defense. "If the landing would take 30 days, how would they do if there was a technical problem?" He says. 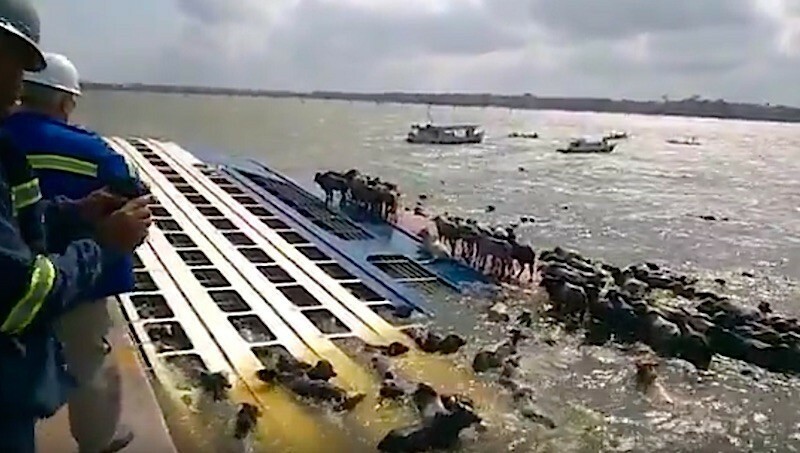 An accident in Pará for the transport of live cattle by Minerva had already been featured in the press in October 2015, when a ship with 5,000 oxen was shipwrecked in Pará. Many animals drowned. The vessel was bound for Venezuela, which was once one of the largest destinations for this type of export, according to data released by the president of the Brazilian Foreign Trade Association (AEB), José Augusto de Castro. Earlier this month, a ship heading to Venezuela sank at the river port of Vila do Conde in the Amazon region of northern Brazil. Shipwrecks are always tragic, but what made this one unique was the ship’s cargo: 4,900 live cows. 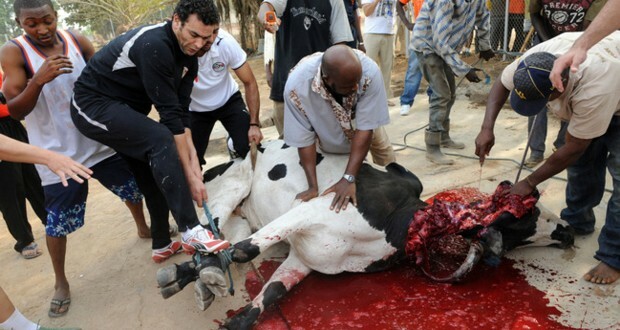 The animals, which belonged to the Brazilian beef company Minerva Foods, were headed to Venezuela. (This isn’t Minerva Foods’ first ship accident involving cows—another one happened in 2012.) The vast majority—around 4,400 animals—drowned inside the ship. Of the approximately 500 animals that managed to leave the vessel, only 100 survived. Hundreds of carcasses were carried by the current to local beaches. The crisis in the neighbouring country changed the scenario and considerably reduced the amount of livestock sent outside the country. While in 2013, at the height of the market, 688,000 oxen left the Brazilian territory alive, bringing a contribution of 724 million dollars (2.3 billion of real), in 2017 this number fell to 407,000 units, worth a total of 276 million dollars, highlights Castro. Venezuela last year did not buy a single Brazilian cattle, being replaced in the lead by Turkey, which obtained 227,000 head last year. This type of import is not the most profitable, says the president of AEB, since the ton of frozen meat exported is worth twice that of live cattle. But it serves a market that wants to expand its stock of cattle and a religious order, which provides for stricter rules for animal slaughter. Queiroz has, without a doubt, done a great job for Brazil, BUT, the overseas export of LIVE cattle, especially to Muslim countries, will give him great losses in the not so distant future, as world wildlife organizations, economic supporters of wildlife and forests in Brazil, will withdraw their support in protest against the obvious cruelty of overseas transport by long passages on specially build ships with thousands of little cages where they are skidding around in their own excrements as the ship moves through waves and weather.